Thanks to Susanne we know what sleep is again! Our son barely slept during the day and during the night we had to get up often. It was very difficult getting him back to sleep, sometimes we were up with him for one and a half to two hours. We were exhausted and desperate. We are so happy! We have a child that finally falls asleep himself … and in his own bed! Since birth, Siem’s sleep during the day was quite variable and falling asleep in the evening could be different every day. At night he would sometimes be up for hours. Siem now falls asleep without crying and falls back asleep at night when he wakes up. Furthermore – and this is vital – we have confidence in the fact that Siem can do it himself and our panic when he wakes up is much less. 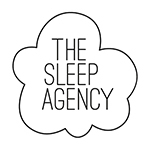 I definitely recommend Susanne to parents with children dealing with sleep issues. Even when in doubt, just contact her. I value Susanne as someone who will be open and honest in saying if she feels she can not be of any help. The ease with which she offered a solution to our son’s sleep behavior, I think she can be a lifesaver in many cases. Before we started coaching Pim and Teun had been restless sleepers for 11 months. During the day they only took catnaps and at night they often woke up and could not fall back asleep on their own. We often gave them their pacifier, it made them fall asleep for a little while before they woke up again. Around 4:00 am they were very awake and we ended up taking them in our bed. It is now going very well with their sleep, they nap much longer and go to bed happy at 6.30 pm and sleep until 6.30am! What a relief. We have our evenings back! During the coaching process we engaged on a daily basis, adapted the sleep plan to Otis’ response and sleep behavior – further it was all about consistency. I can proudly say this has been the key to success: MY CHILD CAN SLEEP THROUGH THE NIGHT! Hooray for Otis! After he would wake up screaming every hour or stay awake for hours in a row the last two years, my little prince learned to fall asleep on his own and sleep through the night without any help! Fantastic! The result I was hoping for… I’m super grateful to Susanne – this is a dream come true after all these sleepless years! – Claudia, founder Oh yeah baby!